I helped my brother today at Clark for some errands. Since we still had time to spare, we decided to window shop at other duty free's in Clark. First stop was Parkson. I took my time going through all the aisle. 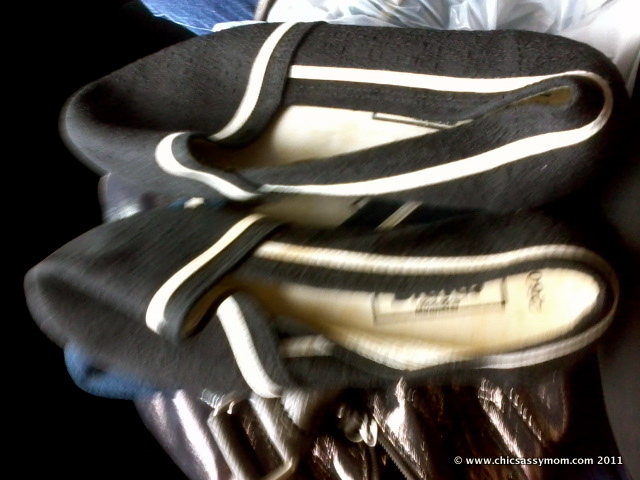 There are several cheap steals, only I wasn't buying. Yay for me! Then we went to Arjan. It's a shop that we only visit once a year, solely for Christmas Trees and decors. 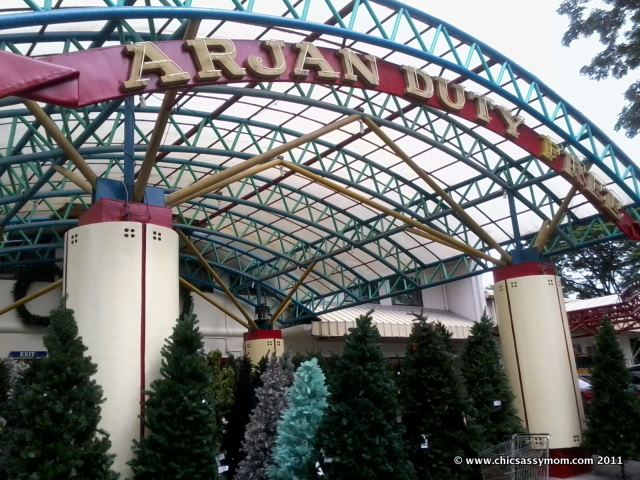 Arjan Duty Free is home to Christmas Trees and Decors, and some China goods. 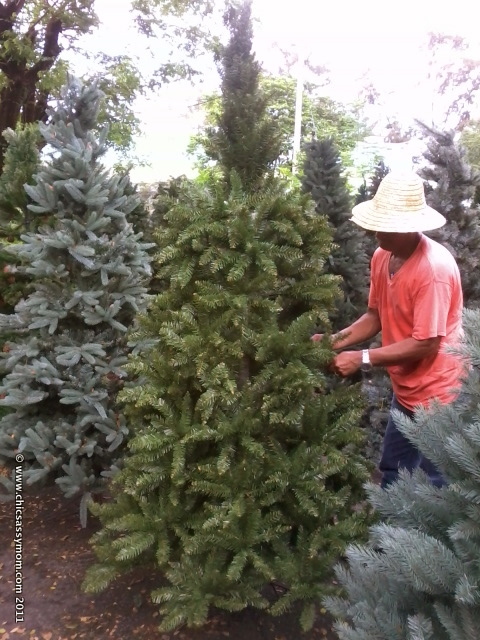 Christmas Trees in different sizes and varying designs and leaves surrounds the outside area of the store. 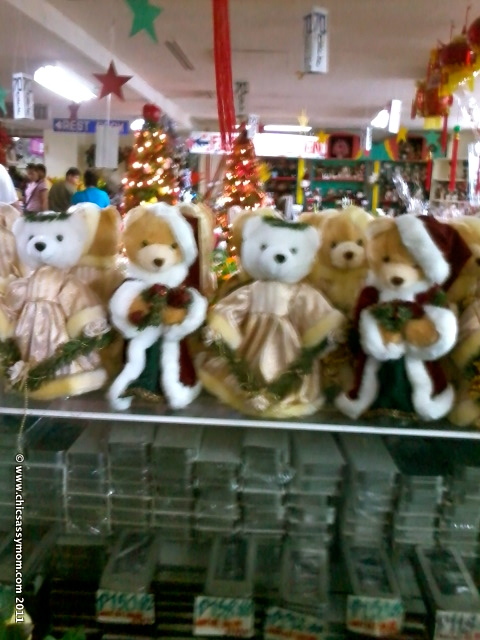 There were several shoppers of Christmas decors. But once inside, the rest of the area will be filled with China goodies. As in. We looked around, and got these. 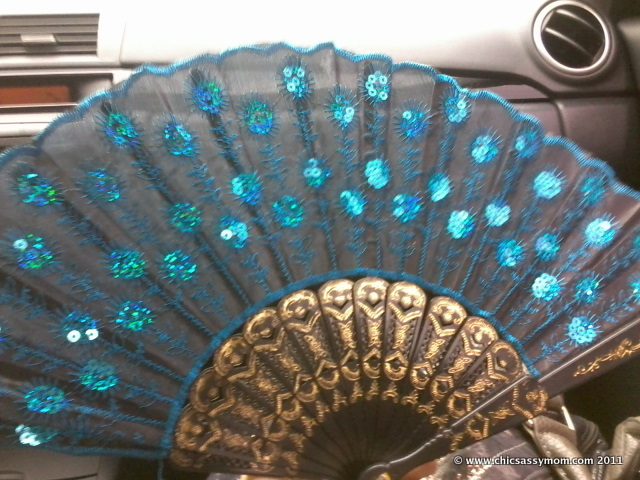 Blue and Gold Embroidered fan for less than a dollar. 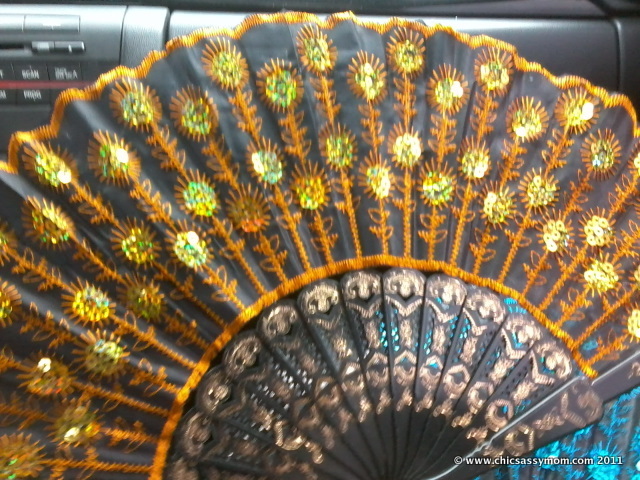 Yellow Gold Embroidered Fan for my mom. 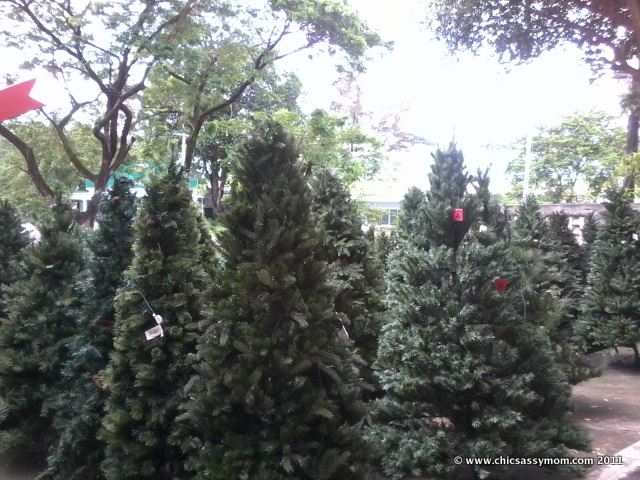 A friend of mine told me before na maganda daw mamili ng xmas decor there, I guess this was the place she was talking about...mura nga daw ang bili nya sa xmas tree nya eh.